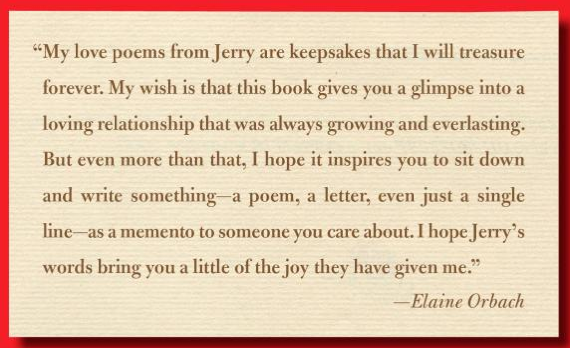 I was touched recently by the tradition of Jerry Orbach to his wife, Elaine. You may remember him from his acting career on Law & Order for 13 years. Elaine will remember him as a faithful husband who never failed daily to tell her what she meant to him. Every morning he wrote her a 4 – 5 line poem expressing his love for her and placed it next to her coffee cup before he left for the day. And each morning after she read it she placed it in a soup tureen in the kitchen. 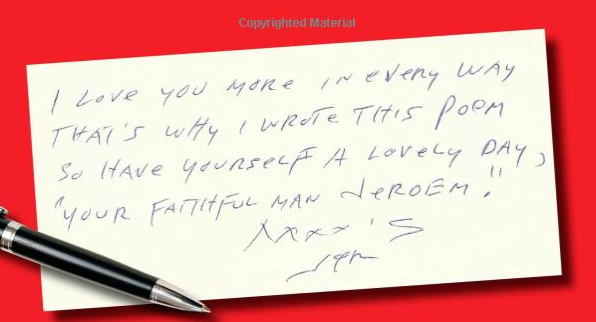 When Jerry passed away in 2004 those little poems represented more to her than anything else he could have given her. What a legacy this man provided for his wife and all who knew him. He loved her and his actions proved it. May we all be inspired to make the most of the little ways we are able to express our love. When it’s all said and done we may just realize that these little things were the most important of all. This entry was posted in Encouraging Your Spouse, Growing Strong Marriages, Romance in Marriage, romancing your wife, Testimonies. Bookmark the permalink. Thanks Karyl. I hope your readers are encouraged in their marriage. Some simple gesture mean so very much. Thank you for sharing and reminding us. You’re welcome, Rick. And you’re right–it’s great to be reminded of how the little things can promote such good in marriage.